Children make quicker decisions to eat “tasty” food and reward centers in their brains light up after watching food commercials on television compared to nonfood commercials, a small study finds. “Our past work has shown that reward centers of the brain ‘light up’ in response to familiar food and nonfood logos,” said lead author Amanda Bruce of the University of Kansas Medical Center in Kansas City. 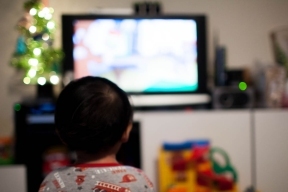 “What this study adds is that we now have evidence that children’s decisions are based more on taste (less on healthiness) after watching a food commercial.” Kids make decisions faster, and perhaps more impulsively, after seeing a food commercial, Bruce told Reuters Health by email. The researchers studied 23 children ages 8 to 14 years who gave taste and health ratings for 60 food items. Afterwards, kids chose whether to “eat” or “not eat” each food item – without actually eating them – while undergoing functional magnetic resonance imaging (fMRI) brain scans. The scans measure changes in blood flow within the brain, which is thought to reflect the activity of brain cells. While the kids were making their decisions, they were periodically shown TV commercials, some for fast food outlets like Applebee’s or McDonald’s and some for nonfood businesses like Allstate Insurance and Comcast. 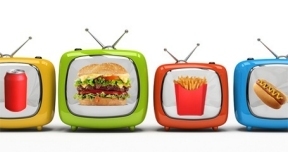 Each set of commercials was followed by a set of 10 food choices. In general, kids did not choose foods based on their health ratings, and chose based on taste. But after watching a food commercial, taste seemed even more important to them, and they made their choices faster. 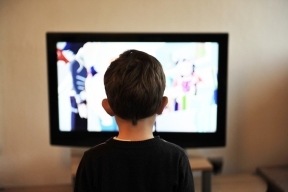 The area of the brain involved in reward valuation, the ventromedial prefrontal cortex, was more active during food decisions after watching food-related commercials than after nonfood commercials, researchers report in the Journal of Pediatrics. Food advertisements are designed to affect consumer decisions, Bruce said. “What we need to consider, though, is whether it is ethical to use these strategies on consumers who are children, as they may be at a disadvantage when it comes to healthy decision-making,” she said.